Home	/ Story of SVYM / (13) The mating cobras! We had a young man named Mohan who was sent by Swami Veetamohananda of the Ramakrishna Ashram, Ponnampet and I had assigned him the task of supervising the construction of the Kenchanahalli hospital. He was an energetic young man, completely committed to the construction activity. There was hardly any real place for us to stay then at Kenchanahalli. It is funny the way the human mind works. Today, when I look back, those days feel hard and difficult to have lived by. But at that time, nothing was really difficult or impossible. We were all fired with the zeal of putting up our cherished dream and no task was too large for us. Those were indeed romantic days. Sometimes experience can be a real dampener and by not having any, we were not averse to taking any kind of risk. Transporting cement to our construction site was always an adventure in itself. No dealer would supply cement to us more than once. Firstly, he had to contend with the difficult and nearly non-motorable roads. Secondly, he had to wait till we could mobilize the money to pay him off. After much cajoling and pleading, I could get M/s M.R.Swamy and Co., the cement dealer located on Ashoka Road in Mysore to agree to send the second load of cement to Kenchanahalli. The condition that he had put was that I had to pay him within a week and I also had travel in the lorry to ensure that the driver did not turn back. What fun it was! On one side, I could not stand the ‘beedi’ smoke while on the other, I could ill-afford to tick off the driver. We reached Kenchanahalli at around 11.30 pm that night. The driver was already upset that he had not been forewarned about these roads and the elephants that we had to negotiate along the way. He gave me a terse look and told me that I had to unload the 250 bags of cement in the lorry within the next 1 hour. The only ‘unloaders’ that I could think of at that time were Mohan and me. But first I had to wake up Mohan. 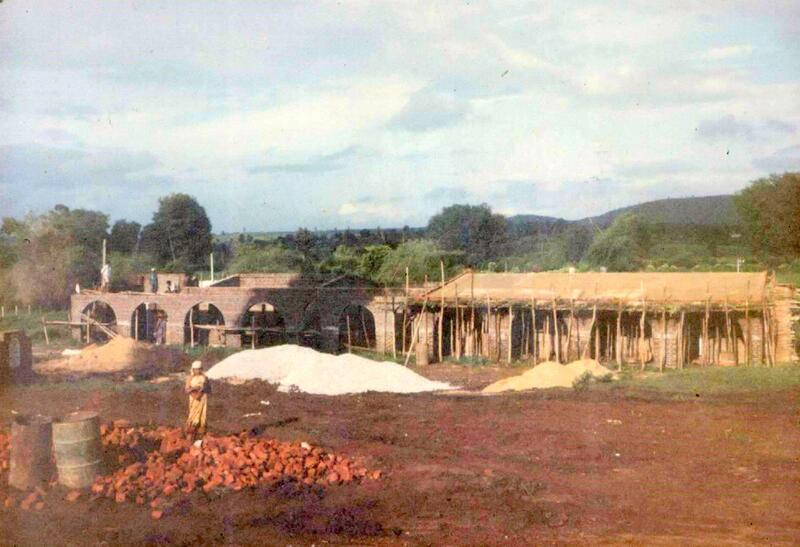 We had a temporary stone shed built to stock cement which also doubled up as our residence. I banged on the door and tried waking up Mohan. It was then I realized that the door had no lock and would open when pushed hard. I opened the door and what i saw inside with help of the light coming from the lorry headlights shocked me no end. Ahead of me lay Mohan sleeping with a blanket covering him and I found two big snakes (cobras) mating on the blanket! Disturbed by the noise, Mohan woke up and as he started to rise, noticed both the cobras on him. So shocked was he that he screamed and jumped up in fear. Both the cobras went flying, thankfully away from the two of us. Mohan was so shaken, that I had to first ensure that he stopped shivering and then slowly break the news of the unloading. The lorry driver who was a mute spectator to all this ‘drama’ was also equally shaken. It was then that his human side came out. He was all praise for us for having thought of coming to this god-forsaken place and putting up a hospital. He assured us that we did not have to unload then and could do so the next morning. He informed us that he would sleep in his lorry and was apologetic that he could not offer the two of us space in his lorry. Both Mohan and I did not think of venturing into the shed as the snakes were still there. It was indeed a long sleepless night that we spent sleeping on a tarpaulin sheet (so gracefully offered by the lorry driver) under the lorry in the cold!